As you will probably have heard by now, Microsoft yesterday began sending invitations for its Xbox launch event on May 21st, but one person who wasn’t surprised was Paul Thurrott. He initially said the announcement would be coming on April 24th, but later went on to note that plans had changed, and it would instead be unveiled on May 21st. As it transpired, the original date turned out to be the day the invitations were sent, and his revised information about the announcement proved to be right on the money. Having well and truly grabbed the attention of the gaming world, Thurrott has published a lengthy post in which he reveals several key details of what we should expect going forward. Firstly, he believes that the date of the announcement was pushed back so Microsoft could "better position" the machine against the PlayStation 4, a console which will undoubtedly serve as the next-gen Xbox’s main competitor. Unlike Sony, which kept a great deal of information under wraps, Microsoft will be forthright in revealing everything about its upcoming console, at least from an end-user point of view. As for developers, all the information they need will be revealed at BUILD, which is set to be held in San Fran in late June. 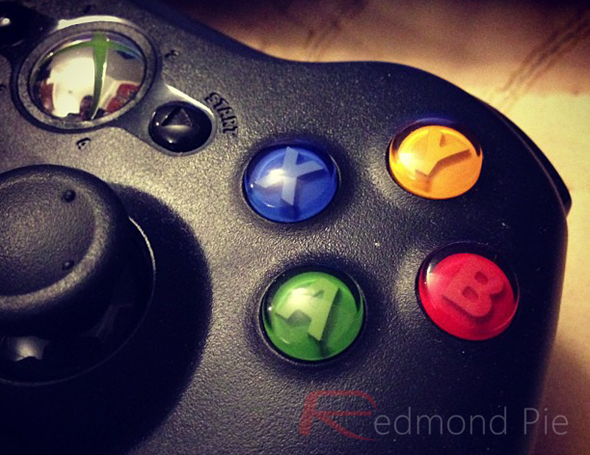 The next Xbox will run on top of Windows 8 Core, which is being described as the base version of Windows 8. It will also pack in a Blu-ray drive as standard, and although the 360 missed a trick by going with a standalone HD-DVD peripheral, movie buffs will be pleased to learn that they won’t need a PlayStation to watch a Blu-ray, or a dedicated player for that matter. Thurrott believes the console will launch in early November of this year, with two very different pricing models. A ‘standalone’ version will set consumers back $499, and a $299 iteration will require a two-year Xbox LIVE Gold membership of $10 per month. Microsoft already has a similar system going with the 360, which can be purchased for $99 with the Gold membership attached on a pay monthly basis, and with most consumers wishing to play online multiplayer, this subsidized model will surely be a winner. It does, have an "always-on" connection, and the fact that Microsoft’s now-former creative director Adam Orth ended up igniting a PR sh*tstorm recently after telling those with fears on the subject to "get over it" on Twitter, it will be interesting to gauge the response. Thurrott suggests the feature is "not as Draconian as many seem to believe," but with no backwards compatibility looking a certainty as we saunter on into the next gen, it’s not surprising that some gamers feel the rug is being pulled from beneath them. As well as divulging many details of the next-generation machine, Thurrott also suggests another Xbox 360, currently codenamed “Stingray,” will swim up to the surface at some point. It’s likely to be cheaper than the current Xbox 360, and although Thurrott is somewhat unsure of the rationale behind it, he correctly points out that since Microsoft is still making considerable amounts of money from the eight-year-old console, it will keep the old brand afloat for that very same purpose. He doesn’t make a call on the name, and although the gaming world has dubbed the console the "Xbox 720" for obvious reasons, I think it sounds a bit too flat. 720 could easily be misconstrued for 720p, and with that resolution barely scraping the barrel of high-def, I think Microsoft will cook up something a little more grandiose.